See more objects with the tag communication, graphic design, advertising, abstraction, curved, grid, line, symbols, winding, commercial poster, mathematicians, mathematics, punctuation, accountants, office workers. See more objects with the color silver darkslategrey peru grey goldenrod or see all the colors for this object. This is a Poster. It was designed by Herbert Bayer. It is dated 1953 and we acquired it in 2009. Its medium is photo-offset lithograph on white wove paper. It is a part of the Drawings, Prints, and Graphic Design department. The work of Herbert Bayer is especially significant because he was particularly concerned with graphic design and typography. Born outside Vienna, Bayer studied at the Weimar Bauhaus from 1921 to 1923 under Johannes Itten and Wassily Kandinsky. When the school moved to Dessau in 1925, Bayer was hired by Walter Gropius to head his newly created typography and graphic design workshop. Bayer’s most dramatic innovation was his creation of a universal typeface that organized the alphabet around simple, geometrically constructed forms. Because spoken language does not differentiate between capital and lowercase letters, Bayer created an efficient font organized around four arcs, three angles, vertical and horizontal lines, and all lowercase sans serif letters. This change was particularly drastic in Germany where Blackletter script prevailed. The Bauhaus adopted a variation of Bayer’s universal typeface for all of its printed materials. In addition, Bayer developed a communications hierarchy in which the type size and weight progressed from the most important to the least important information. Bars, rules, rectangles, and boxes were used to subdivide the surface and stress the most important words. 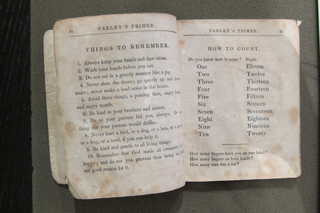 All these elements, combined with pictorial images, were organized in a dynamic diagonal composition using flush left and ragged right typesetting. One bright color with black was the favored color scheme. In 1928, Bayer left the Bauhaus to set up a graphic design studio in Berlin. He worked for the Dorland advertising agency and served as art director for Paris Vogue from 1929 to 1930. By the mid-1930s, several Bauhaus colleagues, including László Moholy-Nagy and Gropius had immigrated to the United States. Bayer was looking for work in America and Gropius gave him the role of organizing the 1938 exhibition, Bauhaus 1919–1928, for MoMA. This project provided Bayer with the perfect opportunity to introduce European modernist design ideas to the American public. He chose the objects, wrote the catalog, and organized the exhibition. Bayer was able to further develop his commitment to educating the public and industry on the role of graphic design in improving human life after he moved to America in 1938. His great opportunity came when he was hired as a designer for the Container Corporation of America, for which he created a series of illustrated posters during World War II. Bayer’s design ideas perfectly matched the interests of the company’s owner, Walter P. Paepcke, who became a close friend. Paepcke wanted to build a nature and cultural resort in Aspen, Colorado, where they could hold conferences and cultural festivals to educate industrial and cultural leaders in social and environmental responsibility. Under Paepcke’s patronage, Bayer relocated to Aspen and from there designed posters, brochures, letterhead, architecture, and books for the Aspen Institute of Humanistic Studies. In 1966, after Paepcke’s death, Bayer became the graphic design consultant for the Atlantic Richfield Corporation. Bayer’s position at the Aspen Institute brought him to the attention of other corporate clients, including Olivetti Typewriter, led by Camillo Olivetti and his son Adriano. 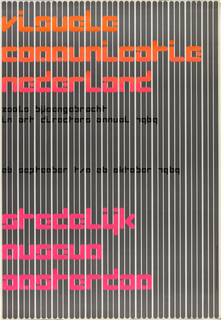 Aware of the role of design in creating its corporate image, Olivetti sponsored a sophisticated poster campaign led by in-house and contract graphic designers. 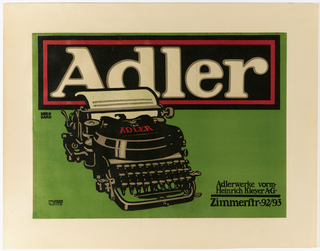 In 1953, Bayer produced two posters for the Olivetti adding machine. Both of these works incorporate mathematical divisions of the surface, variously manipulated to suggest a tension between the flat plane and spatial depth, in an approach that was similar to Bayer’s paintings and wall decorations of the time, like the sgraffito mural on the seminar building of the Aspen Institute. 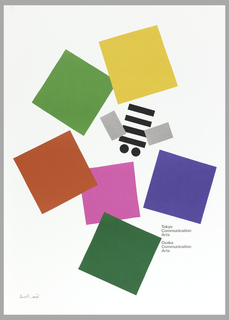 Since 2004, the museum has focused on strengthening its collection of modernist graphic design, and the poster presented for acquisition is a striking example of what Bayer could achieve for a sophisticated European client familiar with the modernist graphic design tradition. 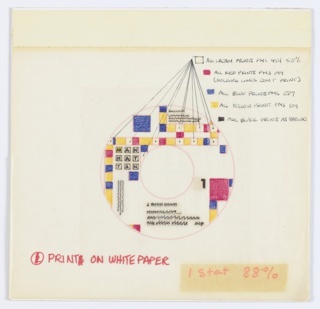 A preparatory drawing for the poster shows that the design was based on a curling printing ribbon that, in the final design, has been flattened to produce positive and negative areas and contrasting brightly colored and gray tones. 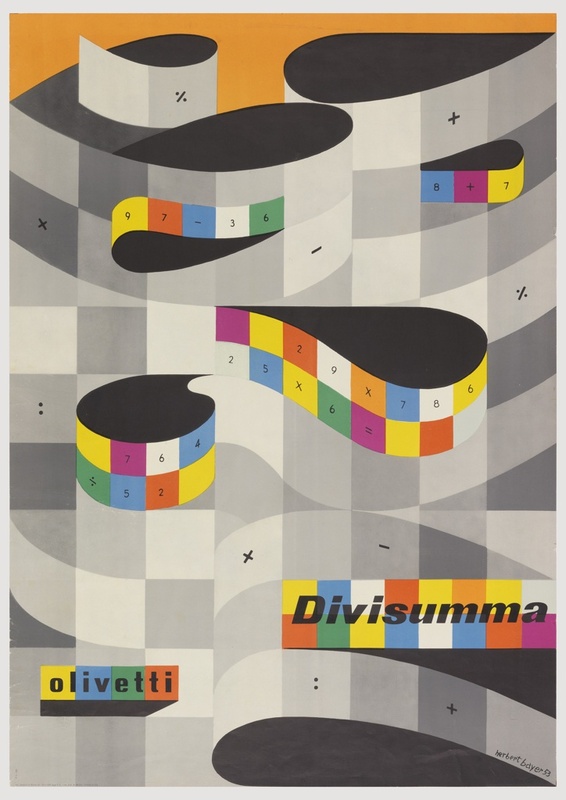 This modernist geometry differed from the illustrational or photomontage posters that Bayer generally created for postwar America and may reflect a collaboration with Olivetti’s in-house designer, Giovanni Pintori. Eckhard Neumann, Herbert Bayer: Kunst und Design in Amerika 1938–1985 (Berlin: Bauhaus Archiv, 1986), 55. 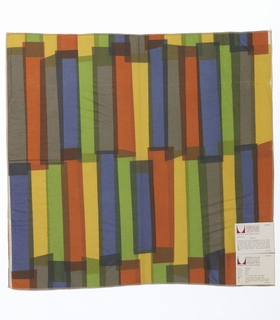 This object was featured in our Object of the Day series in a post titled Ribbons in the Sky. This object was fund: General Acquisitions Endowment. It is credited Museum purchase through gift of James A. Lapides and from General Acquisitions Endowment Fund.